Every holiday season we get a new personalized ornament to add to our tree that captures the essence of our year. When my children grow up and start their own families, I plan on giving them their ornaments to take with them to decorate their own Christmas tree. 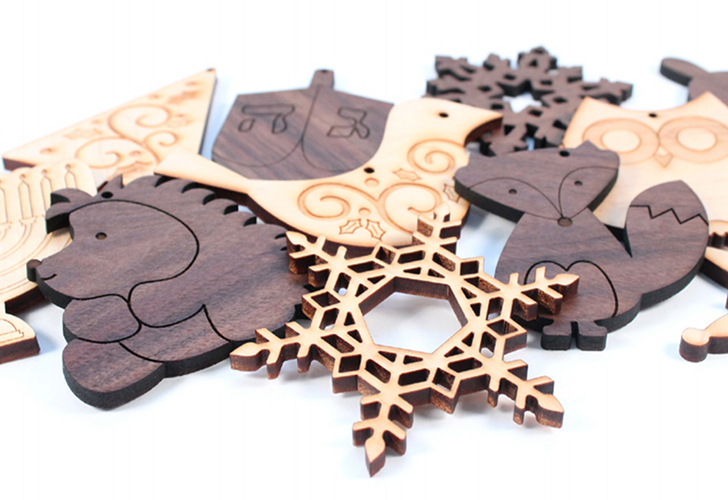 While in search of a sustainably made ornament, I came across Smiling Tree Toys and I fell in love with their adorable selection, which may even be personalized! Smiling Tree Toys makes beautiful handcrafted FSC-certified wooden toys, teethers, and ornaments available in either maple, cherry, or walnut. The ornaments are all coated with a homegrown organic camelina oil (related to flaxseed) and beeswax blend that was grown on their Minnesota farm. The organic finish is non-toxic, eco-friendly, and local. There are no stains, paints, or dyes used in any of their products. Smiling Tree Toys also handcrafts rattles, cars & trucks, teethers, blocks, personalized toys, and other wooden toys including bowling sets, games, stackers, puzzles, and more. Smiling Tree Toys has over 24 ornaments to choose from including Hanukkah styles, snowflakes, woodland creatures, sock monkey, train, classic styles, and more. 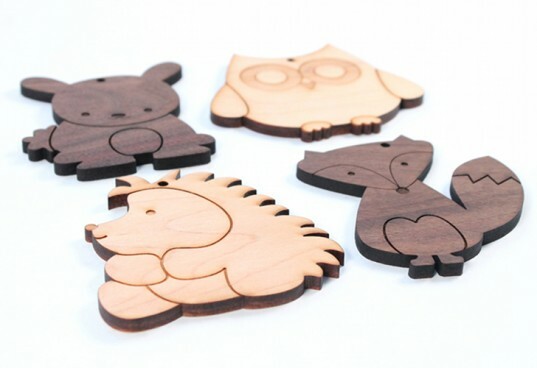 Smiling Tree Toys makes beautiful handcrafted FSC-certified wooden toys, teethers, and ornaments available in either maple, cherry, or walnut. The ornaments are all coated with a homegrown organic camelina oil (related to flaxseed) and beeswax blend that was grown on their Minnesota farm. The organic finish is non-toxic, eco-friendly, and local. There are no stains, paints, or dyes used in any of their products. Smiling Tree Toys also handmakes rattles, cars & trucks, teethers, blocks, personalized toys, and other handmade toys including bowling sets, games, stackers, puzzles, and more.